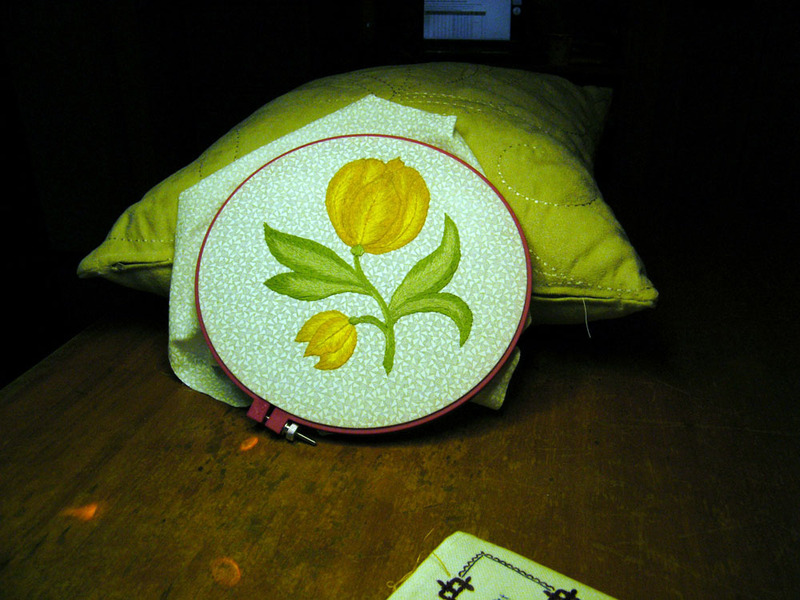 Today I finished the sixth and final embroidery for my Flower Quilt. I'll be able to call this quilt my Friday Quilt as most of the six embroideries have been done on Friday afternoons when five of us meet at a friend's house. We must have done a lot of talking this year as I have been doing this tulip since February whereas the other five embroideries were done much more quickly last year. The original quilt is all white, which looks beautiful in a glossy magazine (Inspirations No 59), but for me this wouldn't be very practical so I will have to start thinking about which coloured or patterned fabrics would suit these embroideries. The cream squares, about 8" or 9", will be on point. have already done nineteen blocks there are still six to do. That will be something to keep me occupied next weekend. I am a very slow starter most mornings but I had to be a bit more organized than usual this morning as I wanted to see 9 year old grandson running in a 2km cross country race. He had done well at school and district levels but now 80 competitors in the Under-10 race at Zone level was a much stiffer competition for him and he finished in the middle of the field.. There was a large range of natural ability among the runners. It's great to see the young ones having new experiences. Here are some of the competitors heading up a grassy part. 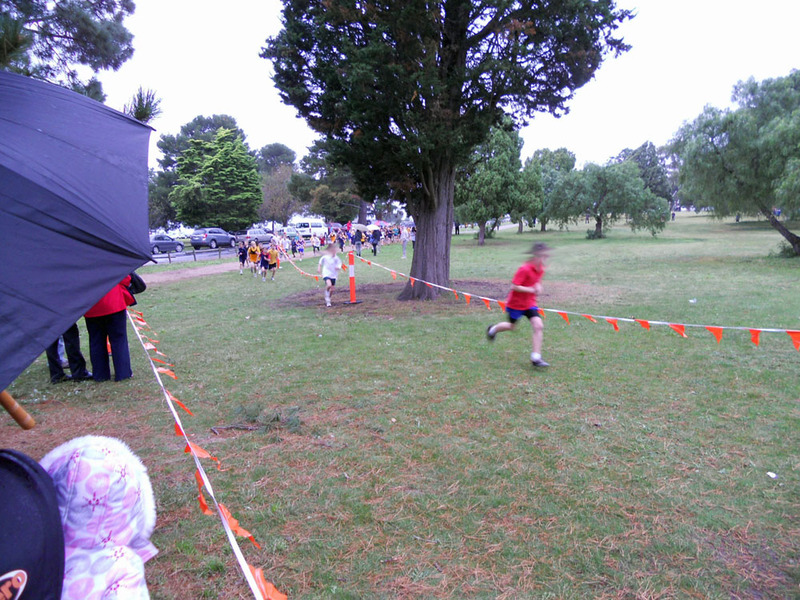 It didn't help either the runners or the competitors that it was wintry cold and raining on and off. It took place in a mildly hilly park - the sea is just down the other side of the hill - and there were three uphill sections in the race. the embroidered flowers are just beautiful! It was lovely your grandson had his own cheer squad present. 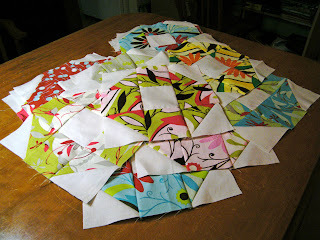 Love your Gypsy quilt blocks! Fabrics are gorgeous!